Well it has to happen at least once a year. I'm hoping for one of these sweet rides with a big shiny bow. But I think I have everything I need. Bebe and I went to the store and picked out bakery fresh cupcakes as a special treat. It was so much fun watching her eat one. When she laughs, I laugh. She is my special gift and spending time with her makes it all complete! Won't you help me celebrate? Oh, how I love that hat on her!! It reminds me of a very special picture that I took with my son when he was young. I was wearing a hat that looked similar to that one, and I still cherish that picture. Happy Birthday, and I'm glad you got to spend it with the ones you love. She is so pretty! Belated happy birthday! What a beautiful laugh of that beautiful little girl. 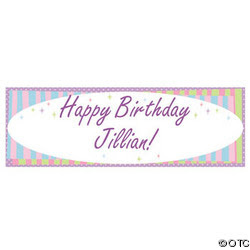 Happy Birthday, Jillian! Hope you're having a blessed day! Thanks for stopping by to see what I've been up to this week with all the celebrations - and my visit to Newport. Wait til you see my blog this coming week on the antique shops I've been in - and a treasure find! Newport has the mansions - so the antiques available up here are really something. Where to put such things! Love ya! Happy birthday and many more blessed ones. That sweet little girl would make anyone laugh and be happy. Happy Birthday, Jillian! Many happy returns of the day! I linked to your blog in my post. I hope you had a great day! Your daughter is precious! Happy Birthday, Jillian!!! 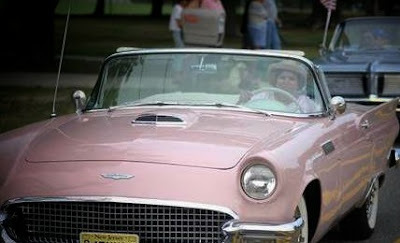 I hope you get a ride in a pink convertible....what a way to bring in a new year!! Little Bebe is just getting cuter and cuter!!! I'm sure she savored every little nibble of her special cup cake!! I know what you mean about laughing when the wee ones laugh....they just make one so happy to see them happy! Enjoy your special day.....and Happy Pink Saturday! Happy Birthday! Save me a piece of cake, please!! Now save me some cake and come pick me up in that car!!! Adorable!....I can't hear her laugh but just seeing the photograph of her make you al giggly inside. Happy Birthday to you. 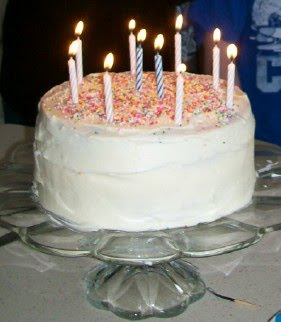 I love birthdays and a great cupcake is just the perfect touch for a birthday celebration. Oh what an expression on her precious face. Does she scream of LOVE or what? I simply adore her little wrinkled nose. That hat is just her. I would say you are going to have a Hat Kind of Gal. This photo is positively priceless. I love it. 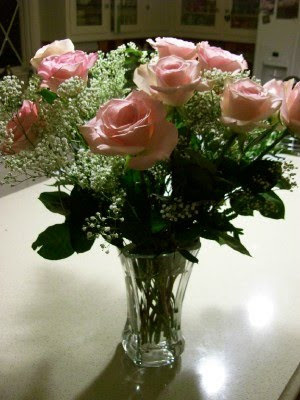 Hope you get flowers, to go with the cupcakes and how about dinner out? Yum. Keep me posted. May all your dreams come true. Happy Birthday Jillian! Bebe is so sweet and growing way too fast! I love the car!! Enjoy the rest of the weekend! Happy Birthday, dear Jillian. And, the very best celebrating is with your sweet girl. She is your greatest blessing. Thank you for participating in this very special Pink Saturday. I hope your visitors will come over to comment and help us to raise more money for the next Miracle Makeover. The good news is that you can leave a comment each day through the 18th, and each comment earns $1.00. So, please come comment again and again. Happy Birthday Jillian! I hope that you got everything that you wanted (and if you did come give me a ride in your car). The precious little lady you have pictured here looks like she could melt a persons heart.